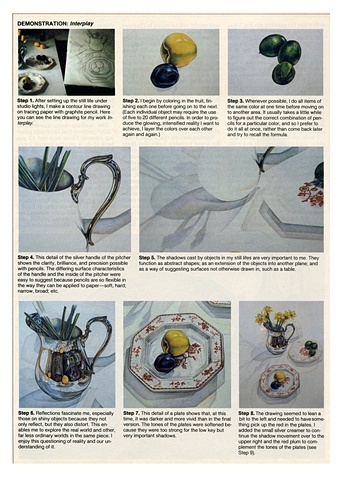 "Drawing Still-Lifes with Colored Pencils"
This article first appeared in the August 1985 issue of American Artist Magazine. I was subsequently reproduced in both the first and second editions of Drawing Highlights, an American Artist Magazine publication. The content of the article is both a clear "how-to" and a personal memoir about the experience of mastering the medium of colored pencils.